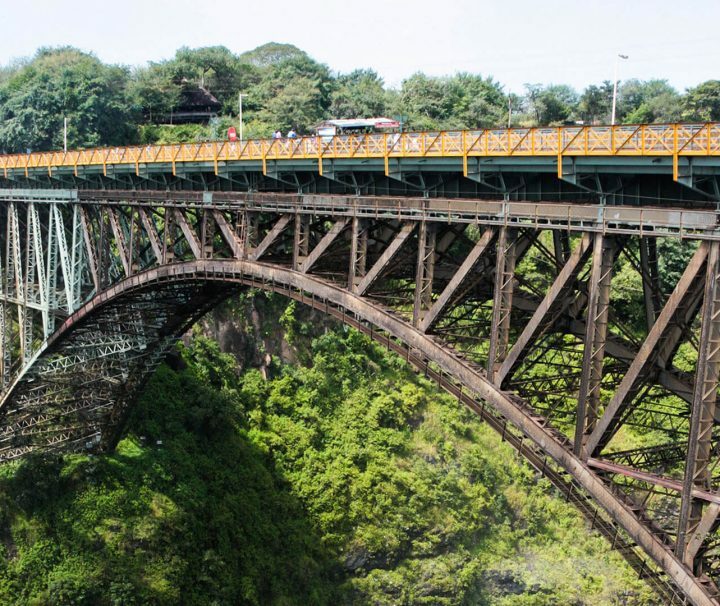 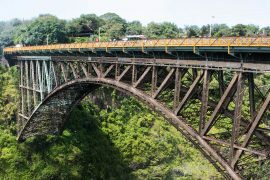 For an adrenaline-packed holiday experience of a lifetime, you have to try the longest bridge slide in Victoria Falls. 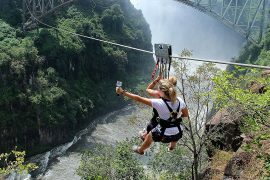 The ultimate African thrill! 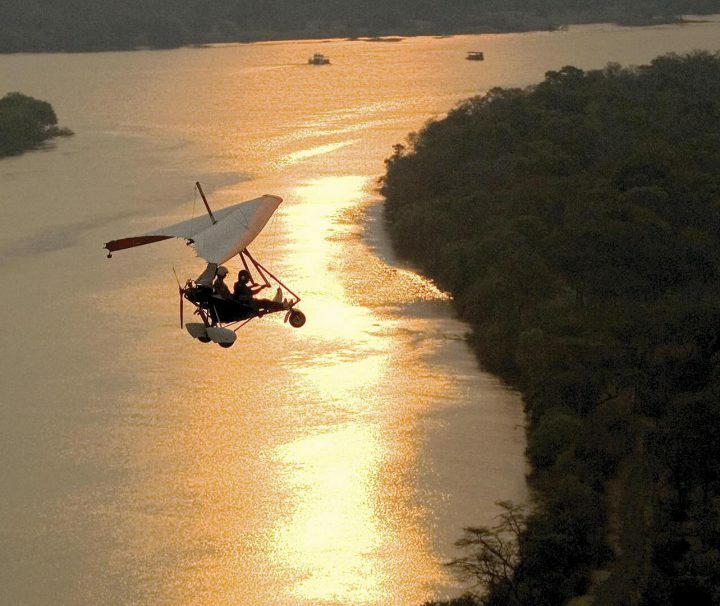 Include this adrenaline-pumping activity on your tours and travels of Zambia for an unforgettable experience. 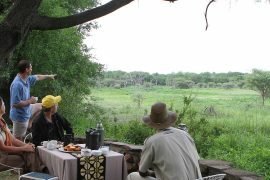 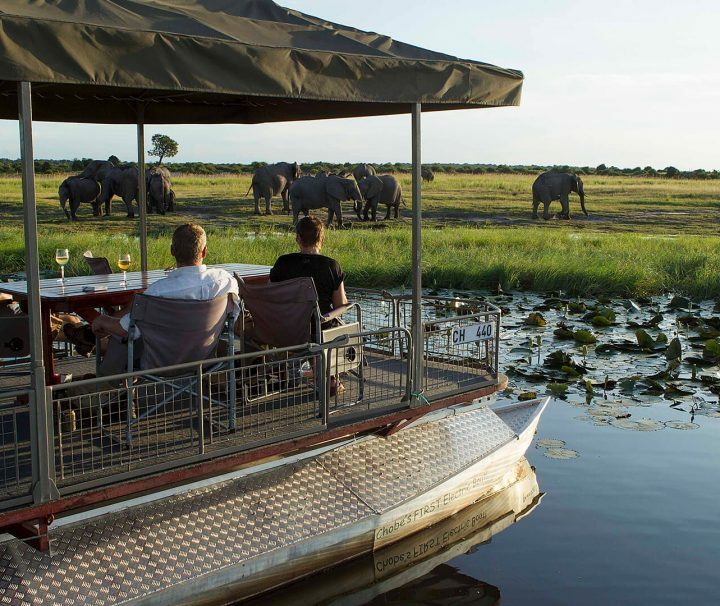 Chobe National Park is one of Africa’s premier game viewing areas. 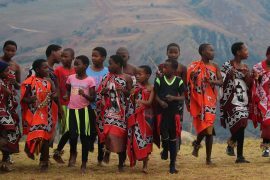 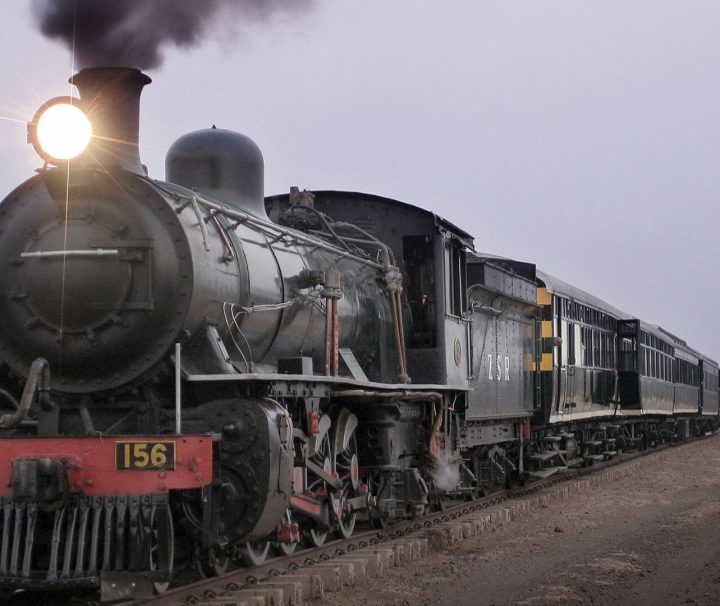 For an unforgettable African holiday experience, take a royal trip on one of the most incredible luxury trains in the world. 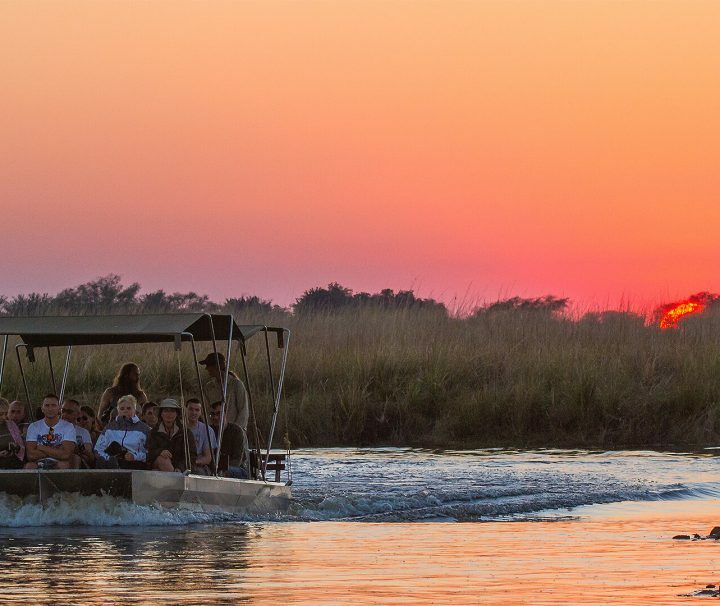 A feast for wanderer’s eyes, the sunset of the river is a natural masterpiece, every time. 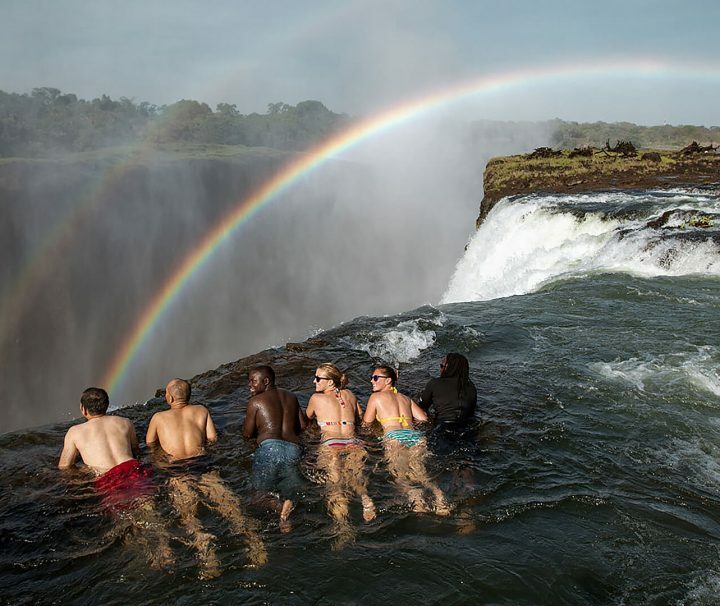 Book your trip to Livingstone Island where you’ll bathe in Devil’s Pool; a completely natural infinity pool set directly on the edge of the raging Victoria Falls. 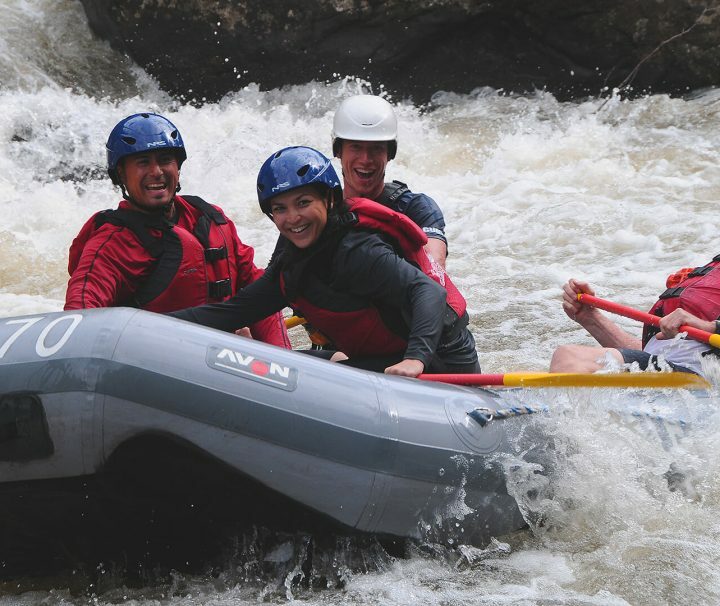 For a wild one-day holiday adventure that’s sure to get your adrenaline pumping, try white water rafting along the legendary Zambezi River. 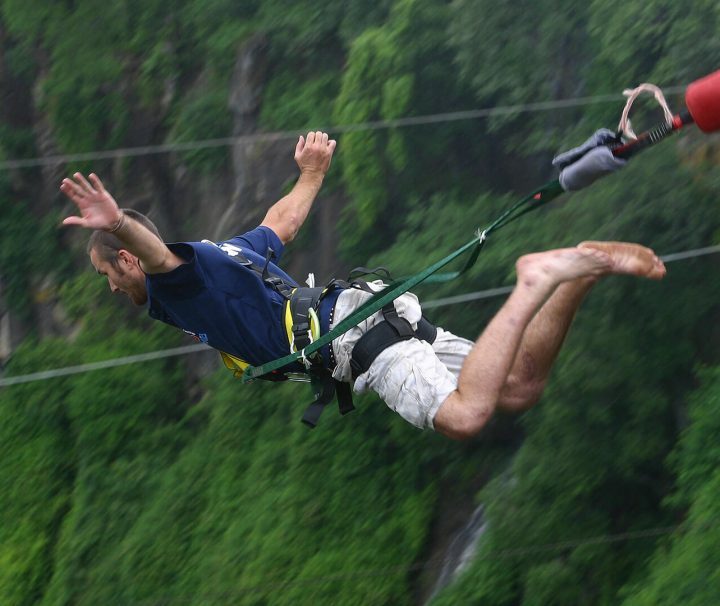 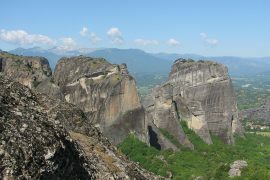 Begin your adventure from the helicopter site and climb to a height of 1500ft above the ground. 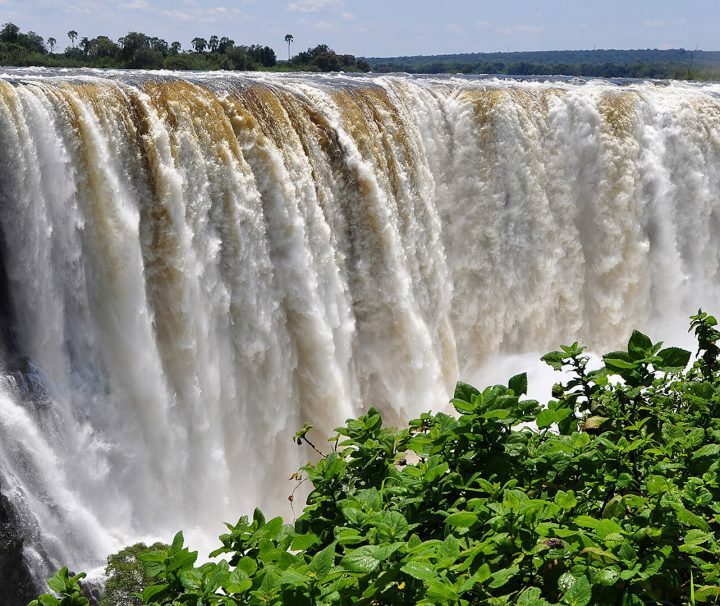 Explore the splendour of Victoria Falls on a two hour walking tour with a knowledgeable local guide and discover one of the world’s most magnificent natural features. 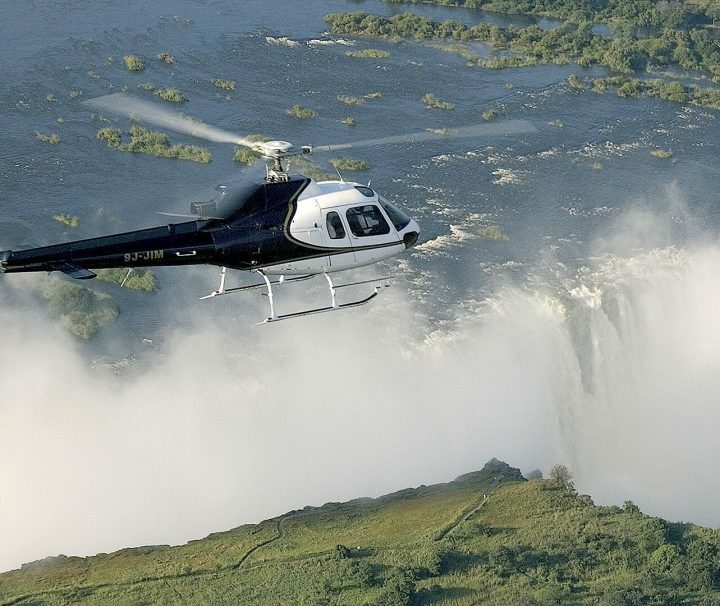 A Birds Eye View of The Falls. 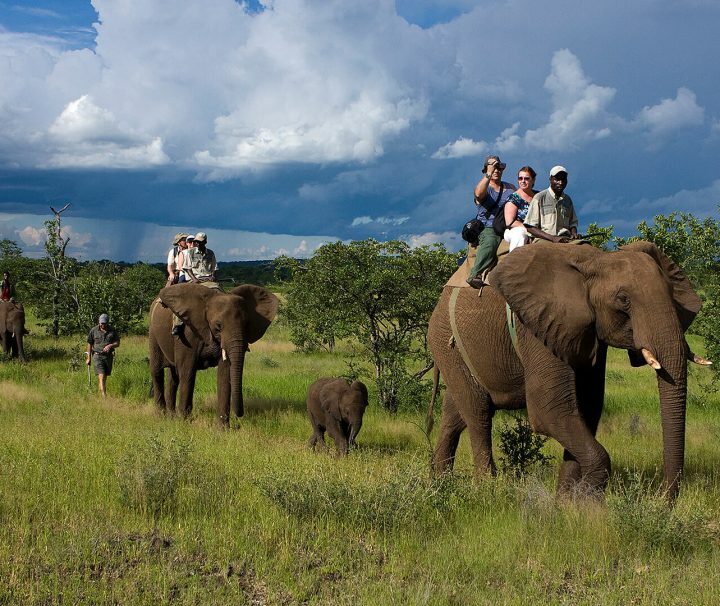 Seize the opportunity to ride royal giants in their natural habitat for an unforgettable African holiday experience. 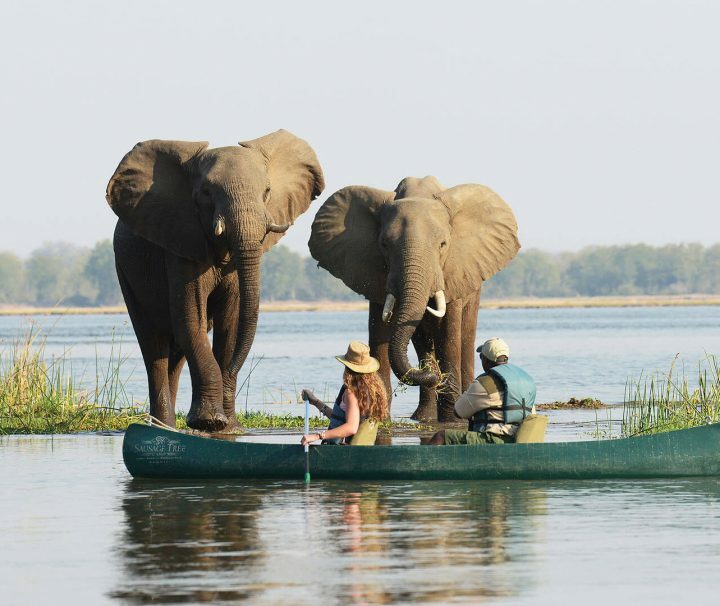 What better way to enjoy the splendour of the mighty Zambezi River than a canoe safari tour!